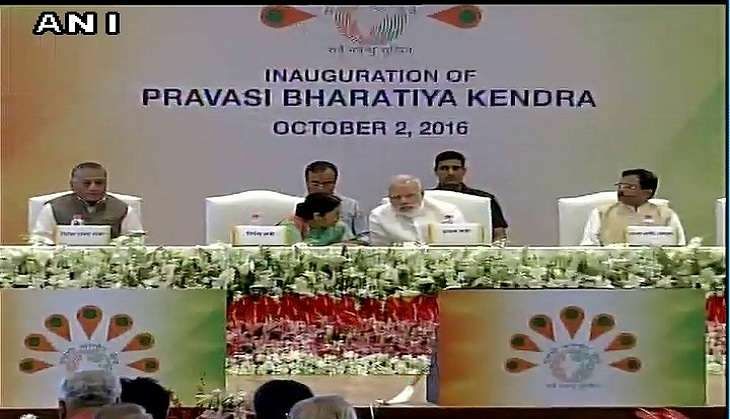 On 2 October, Prime Minister Narendra Modi inaugurated the Pravasi Bharatiya Kendra in New Delhi on the occasion of Gandhi Jayanti. It will be dedicated for the welfare of the Indian Diaspora. Pravasi Bharatiya Divas is celebrated annually on 9 January to mark the contribution of the overseas Indian community to the development of India. The day marks the return of Mahatma Gandhi from South Africa in Bombay on 9 January 1915. On the occasion, PM Modi expressed his thoughts and gave a speech on various aspects concerned with the nation's progress. He said that the brain drain can be converted into "brain gain" if the nation started looking at the 27-million strong Indian diaspora spread across the world as a strength rather than numbers. "Brain drain worries can be converted into brain gain if we see the Indian diaspora as a strength rather than counting them just as numbers," Modi said. He said the world was keen now than earlier "to engage with India". "In such times 'fear of unknown' can be an obstacle. Our diaspora can help overcome this. They just have to tell the world that we belong to India," he said. The Pravasi Bharatiya Kendra located in Chanakyapuri will serve as the focal point of the institutional framework to benefit from networks with and among overseas Indians. It is expected to develop into the hub of activities for sustainable, symbiotic and mutually rewarding economic, social and cultural engagement between India and its Diaspora.